Summary: this an unused script signed Lile Regular 7 with beautiful wood scales. 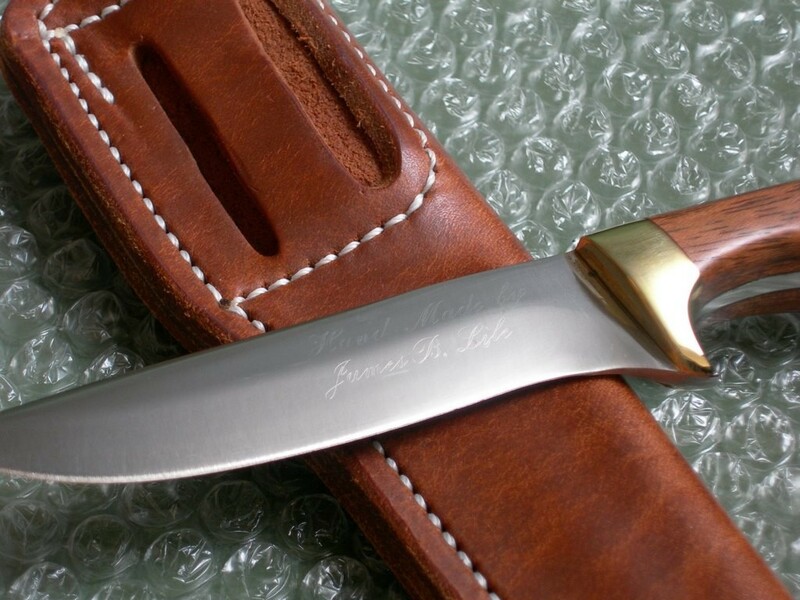 An early 1970's knife -- the blade is script signed "Hand Made by James B. Lile". 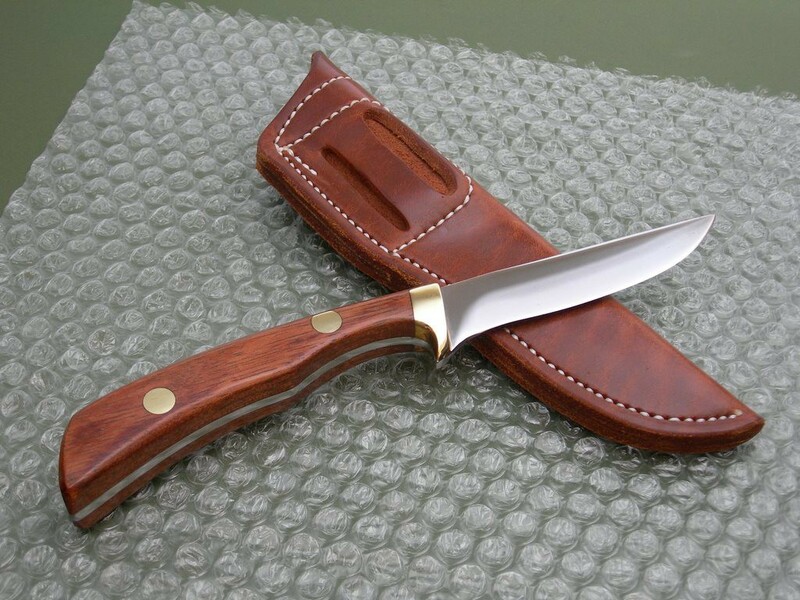 The overall length of the knife is 8-5/8". 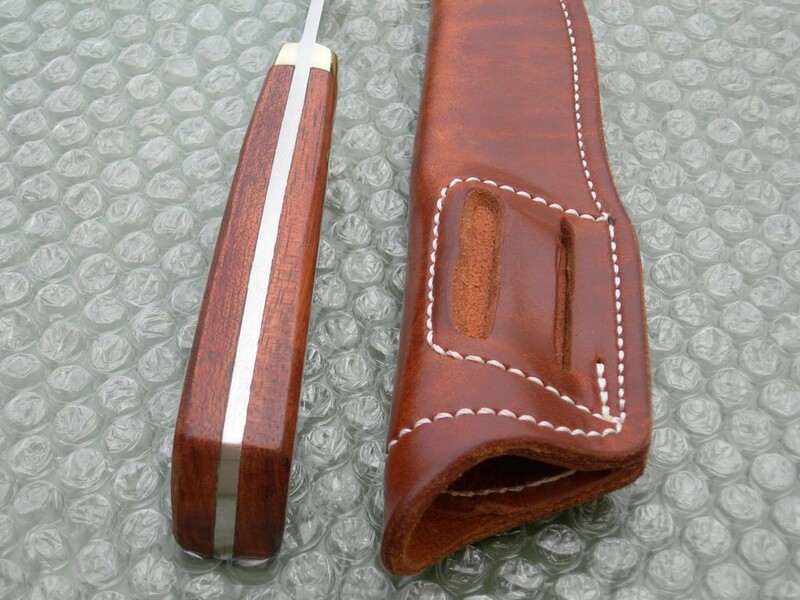 The 4" blade with original edge is pretty much perfect, no checks or cracks in the thick wood slabs. 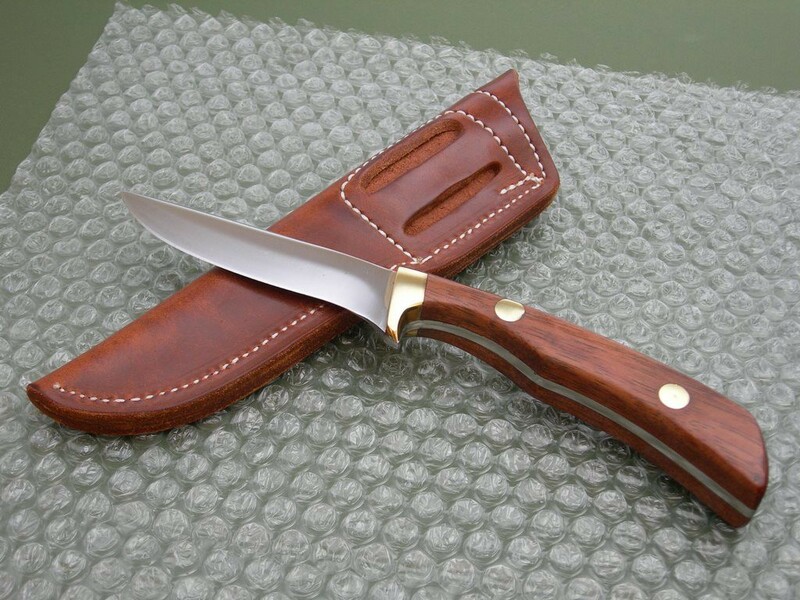 (not sure what type of wood as Jimmy used well over a dozen different kinds) The knife is in original condition with only the brass cleaned – it's a beautiful knife with just the lightest of patina / wipe marks on the brass hilt and pins. 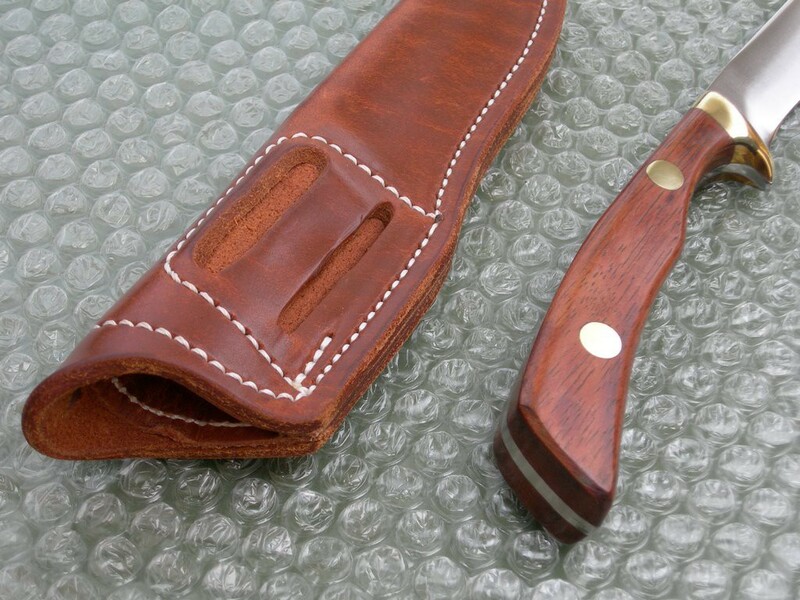 The knife is paired with a sterile Lamb-style ambidextrous pouch sheath made by Vaughn Neeley. 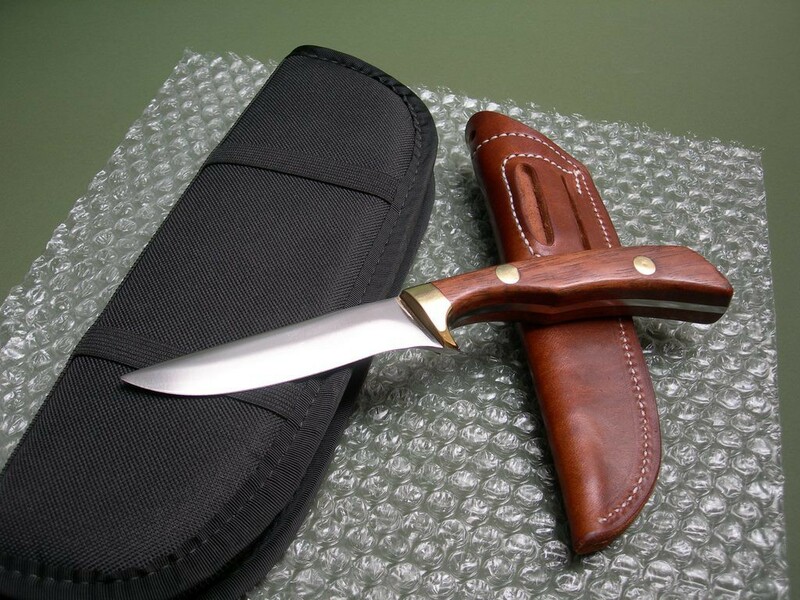 Brand new and just like (if not better) than the original shop issue sheaths -- no carry wear, storage marks, scuffs or handling. Mint condition. 8 photos for review -- as shown, a black canvas carry case is included. 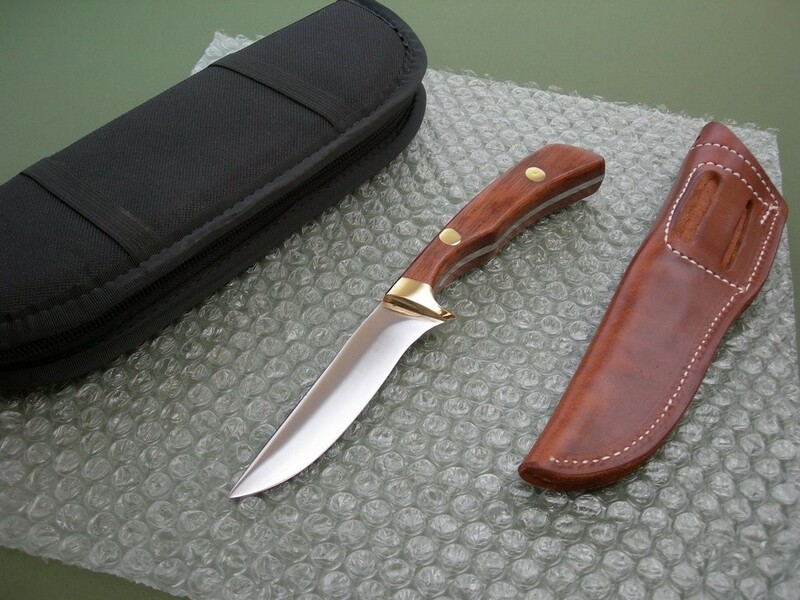 If you're looking for a very early, unused, near mint condition Lile Regular 7 for your collection, this would be the knife to buy. 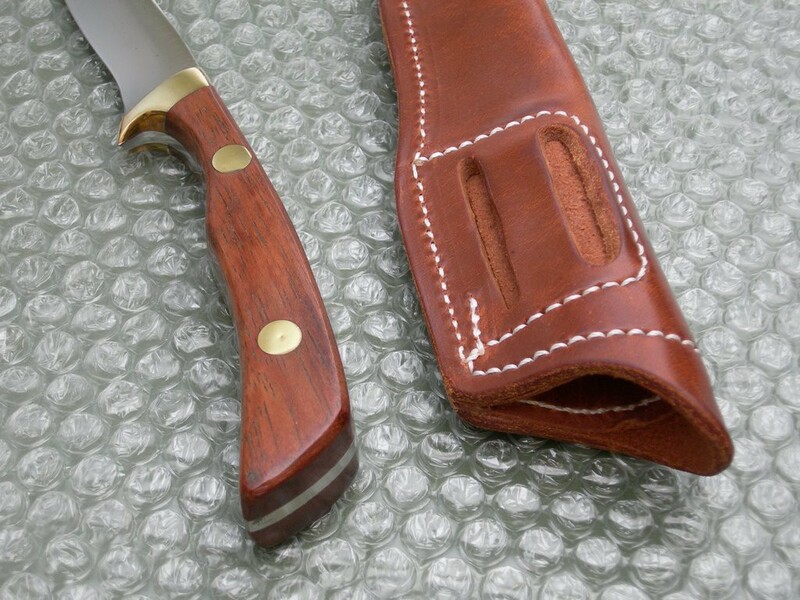 Purchased from a Texas collector years ago who bought all his knives from Jimmy personally, perfect for collection / investment purposes. Thanks and good luck.